What would Christmas be like without Mariah Carey? It’s a sad, sad thought. But the crazy thing is Carey’s holiday classic “All I Want For Christmas Is You” almost never happened. As we celebrate the 20th anniversary of the song, instead of focusing on Carey’s botched performance at the Rockefeller Center tree-lighting ceremony earlier this month, let’s revisit the backstory of perhaps the greatest Christmas tune ever recorded. 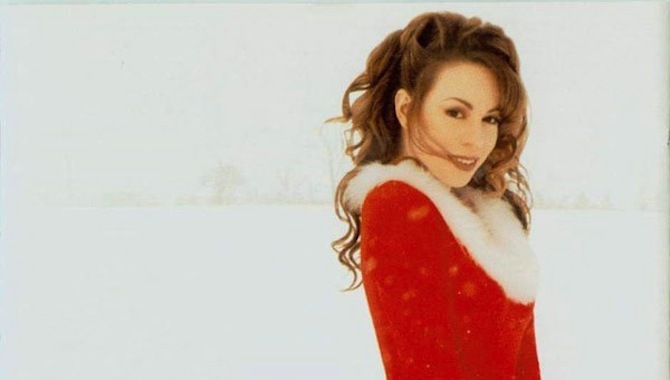 First released on November 1, 1994, “All I Want For Christmas Is You” was the lead single off Carey’s fourth album, “Merry Christmas,” now hailed by Billboard as the most successful Christmas album of all time. In today’s oversaturated market, anyone with half an octave releases a holiday album. But back then, it was considered somewhat corny for a pop star to do so, especially a 24-year-old vocal virtuoso. Carey herself wasn’t convinced it was a good look for her. In his 2013 memoir “Hitmaker: The Man and His Music,” Tommy Mottola, her then-husband and manager (and head of Sony at the time), claims he had to convince her to record the Christmas album. “What are you trying to do, turn me into Connie Francis?” Mottola claims Carey said to him. “The only good part of this story for me is a magazine article not long ago in which Mariah told a writer how she thought I was crazy for asking her to do the album and how she initially resisted, but that in retrospect it’s become one of her favorites and that she was really happy I made it happen,” wrote Mottola in his memoir. Fifteen million copies and over $50 million in royalties later, “All I Want For Christmas Is You” is a standard in the American holiday canon, right on up there with Darlene Love’s “Christmas (Baby Please Come Home)” and the Jackson 5’s “Santa Claus is Coming to Town.” And according to Slate, it is the only Christmas song written in the last half-century worthy of inclusion in the Great American Songbook. They recorded the song in 15 minutes, and just like that, a holiday classic reminiscent of Phil Spector’s best, ’60s-era rock and roll hits was born. No live band; just Carey’s vocals and Afanasieff’s computerized production. And who can forget the scene towards the end of “Love Actually,” when a young Olivia Olson sings Carey’s song ever-so-sweetly? Interestingly, the 2003 holiday film is the only time Carey has allowed the song to be recorded for a movie, despite getting constantly inundated with requests. So here’s to one of the few, rare uptempo Christmas songs in history, and the one that keeps on giving.